This book can best be described as an inquiry of an explorer of the truth into the delicate yet essential question of: “Who is better qualified to the claim of being a follower of Islam’s Prophet in spirit and in practice?” Just as it is mandatory to follow the Qur’an, it is equally essential to follow the Prophet, peace be upon him. While the Qur’an is the Almighty’s revelation, the Prophet’s statements and actions, without any doubt, are also guided by the Almighty, and he cannot err: “Nor does he speak out of desire. It is naught but revelation that is revealed” (Qur’an, 53:3-4), hence the importance of taking the Sunnah (the Prophet’s traditions and statements) very seriously. 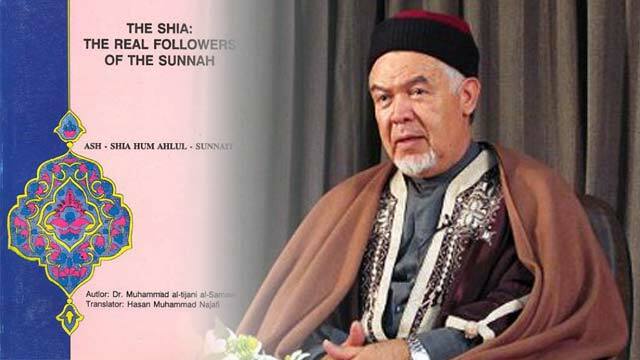 Both Sunni and Shi`a groups agree all along with regard to the importance of the Qur’an and of the Sunnah, accepting them as the bases upon which they establish the implementation of their faith. Despite this fact, however, the Sunnis arrogated to themselves the title of “Ahl al-Sunnah,” or “the people of the Path,” and the rest of the world passively gave in to this assumption and accepted it as a fact.